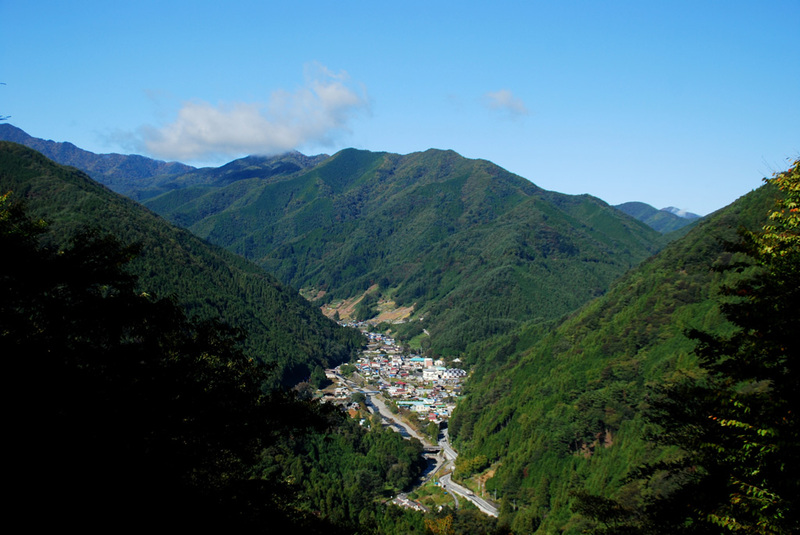 Kosuge has many hiking trails and nature walks of various length and difficulty. When hiking, be conscious of wildlife, and wear a bear bell. Mt. Daibosatsu is one of 100 Famous Japanese Mountains designated by the writer and mountaineer Kyūya Fukada. 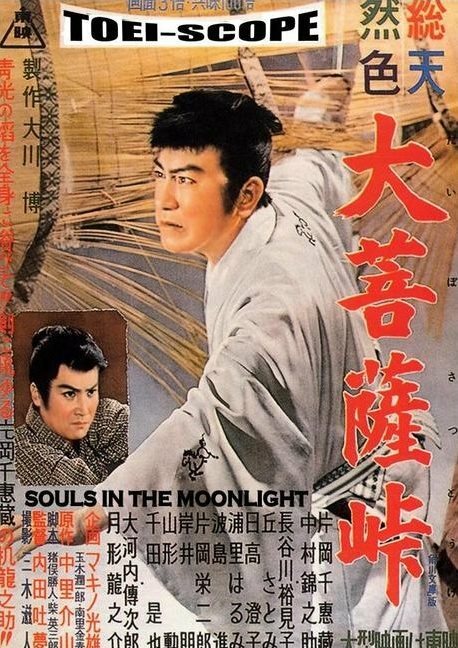 Its name means ‘Great Bodhisattva.’ The pass is also the title and setting of a famous serial period novel and film adaptations. The pass borders Kosuge and Koshu. In the old days, this was a route connecting Edo (present day Tokyo) to the rest of the country. 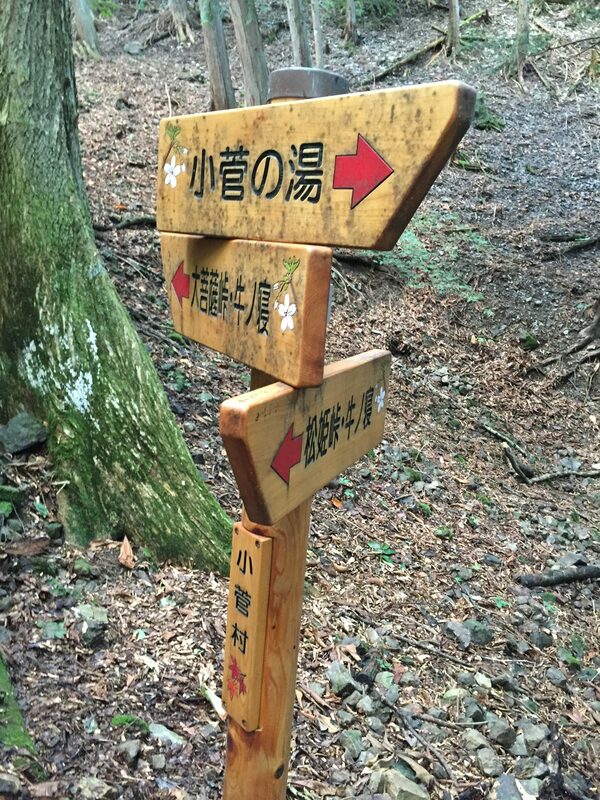 These days, it is a popular hiking destination from Koshu, but the trail from Kosuge is less known. The pass and peak offer panoramic views of Mt. Fuji, the Southern Alps, Kofu Basin, and part of Kosuge. The rest-area at Daibosatsu Pass has a small cafe and souvenir shop open in the summer months. The pass is 1897m and the peak is 2057m. The pass is about 3 hours from the trailhead. The peak is 4. 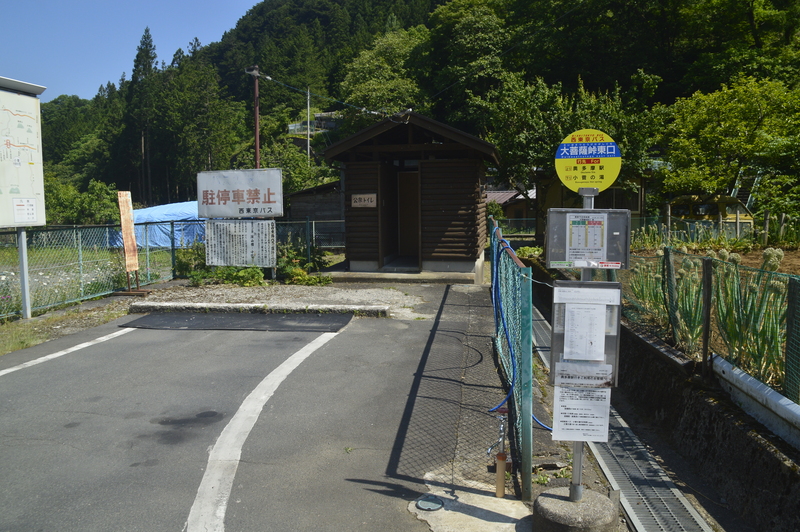 Parking is available at Shiraito Waterfall 白糸の滝, 4 kilometers up a narrow windy dirt road. and begin the trek west up the road (about 1hour 40 minutes to trailhead). Without a car, it is about a 2 hour hike from the village center just to the trailhead. Elevation gain from the village center is 1,412 meters. It may be difficult, but requires no technical ability, and can be done in a day. Matsuhime Pass is named for the daughter of Takeda Shingen, the famous samurai lord from Yamanashi. According to legend, after her father died and the Takeda clan fell from power, she escaped over this pass before finding refuge at a temple in Hachioji. 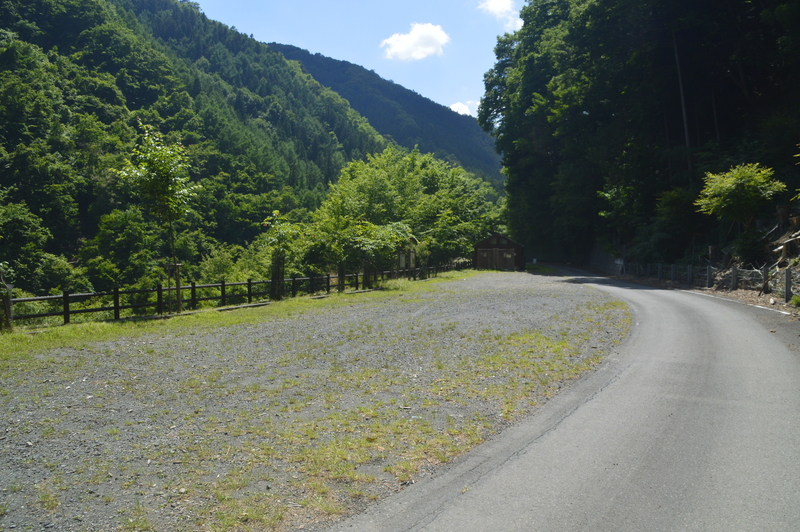 The old road to Otsuki used to go over this pass before the 3-kilometer Matsuhime Tunnel was completed in 2014. The tunnel cut the travel time to Otsuki from 1 hour to about 30 minutes. The old road now ends at the top of the pass from the Kosuge side and is completely closed on the Otsuki side. The Kosuge road closes in the winter months due to snow. 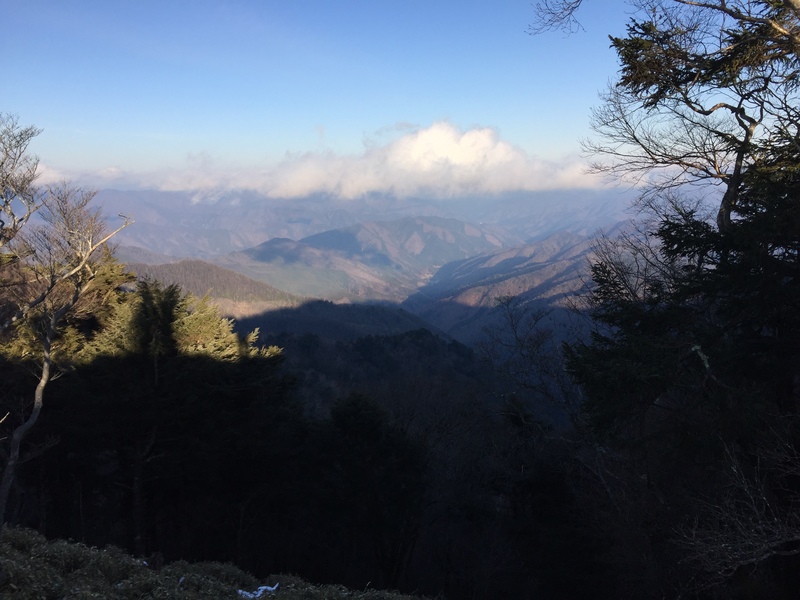 Narakura Mountain 奈良倉山 offers some of the best views of Mt. Fuji and the surrounding mountains. From the trailhead, it is an easy 45 minute hike (one way) south-east. 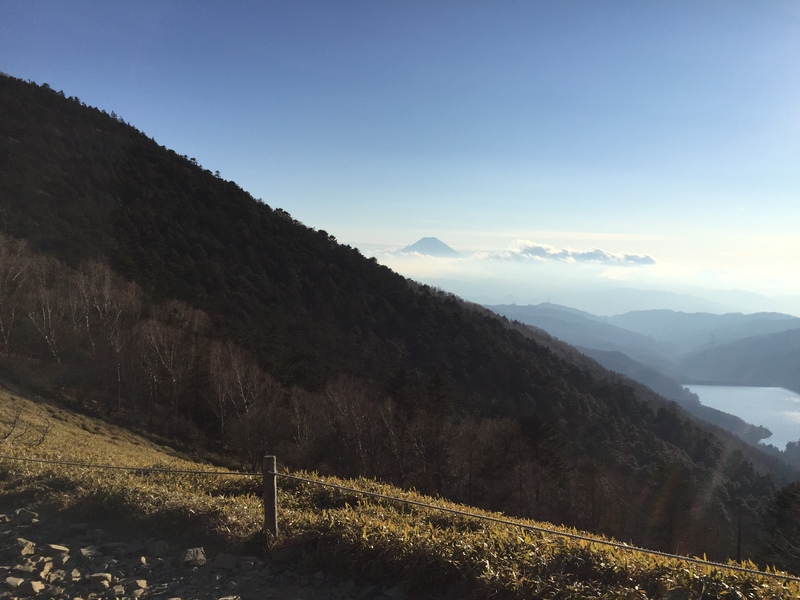 Tsuru Pass 鶴峠 is an additional hour down Narakura Mountain. 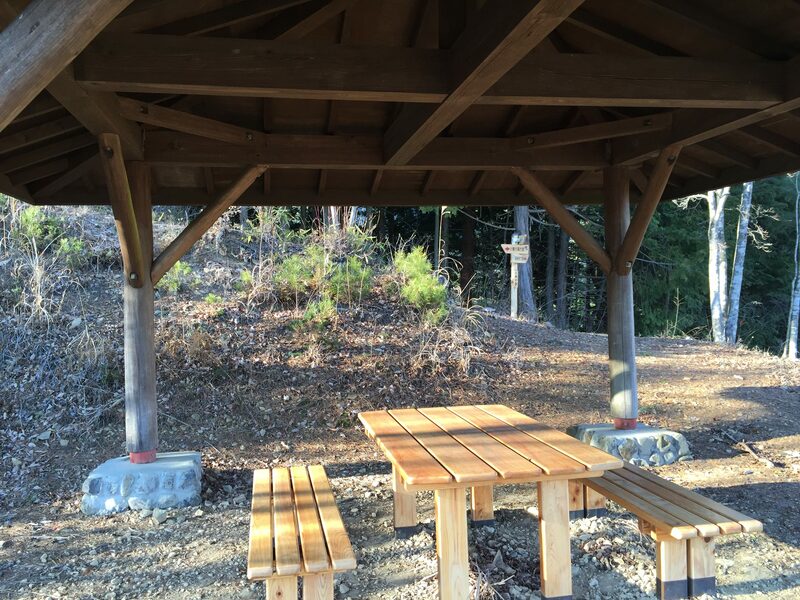 Tsuru Pass is another trailhead with restrooms. The trail here cross the road between Nagasaku/Uenohara and the rest of Kosuge. Since the bus stops here, it can be convenient to begin here and catch the bus from the top of Matsuhime Pass or vice versa. Moderate. 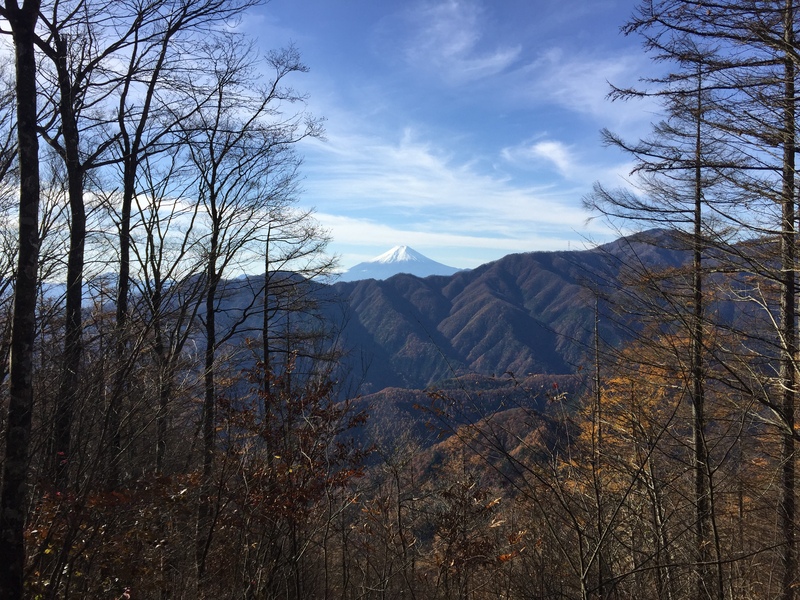 The ridgeline trail continues on the other side of Tsuru Pass with trails splitting off to Shirasawa and Kanazawa communities in Kosuge, before reaching Mito Mountain 三頭 (one of Yamanashi’s 100 famous mountains) on the border of Kosuge, Uenohara, and Tokyo. Moderate – Difficult. Tsurune Mountain 鶴寝山 also offers views of Fuji. 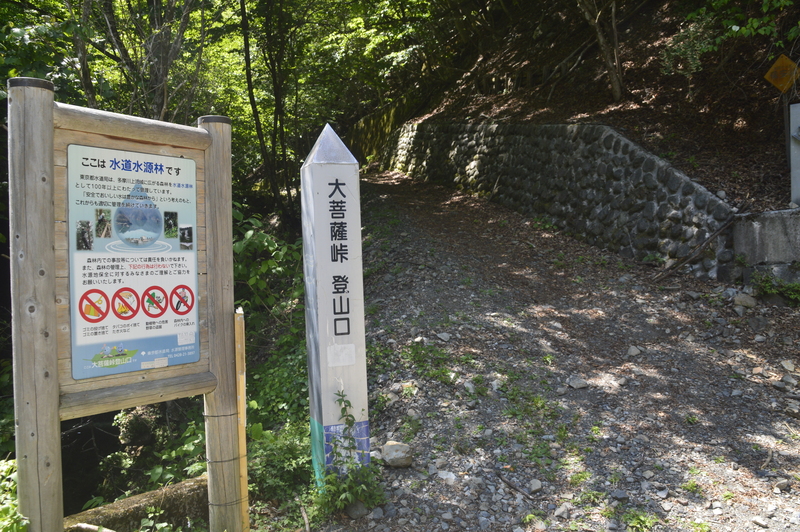 It is an easy 30 minute hike north-west from the Matsuhime Pass trailhead. Ita-no-kyobuku Course. Past Tsurune Mountain you can take a trail about 2 hours down the mountain to the road station and hot springs. Follow the ridgeline east another 30 minutes from Tsurune. Turn north, down the mountain at a fork in the road toward 小菅の湯　 This path will take you by an old tree named 板の巨木 and past some of Kousge’s most impressive mountain wasabi fields. Challenging. Gyu-no-netsu Course 牛ノ寝通. This course follows the ridgeline all the way to Ishimaru Pass, Daibosatsu Pass, and Daibosatsu Peak. Difficult. 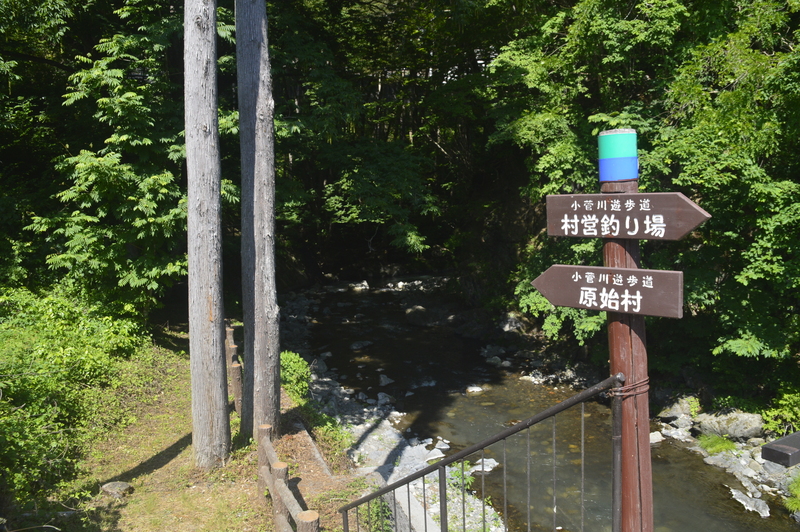 This course begins at the Trout Garden and follows the river along board walks, through Hiroyama campground and back up to Route 139 at Momiji Bridge. About 15 minutes one way. It also connects to Mitsugo trails. 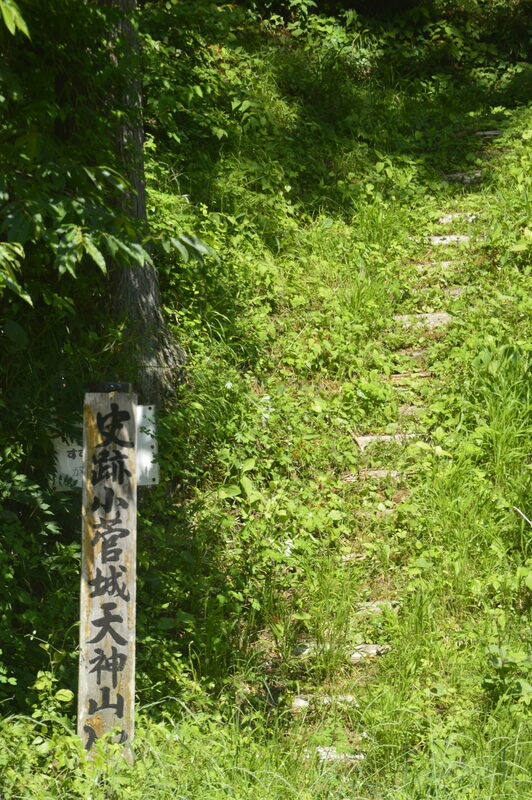 Tenji Mountain is also a nice area for some short hiking with several secluded benches to enjoy a rest. At the top of the small mountain is a small shrine built over the site of a castle mound. 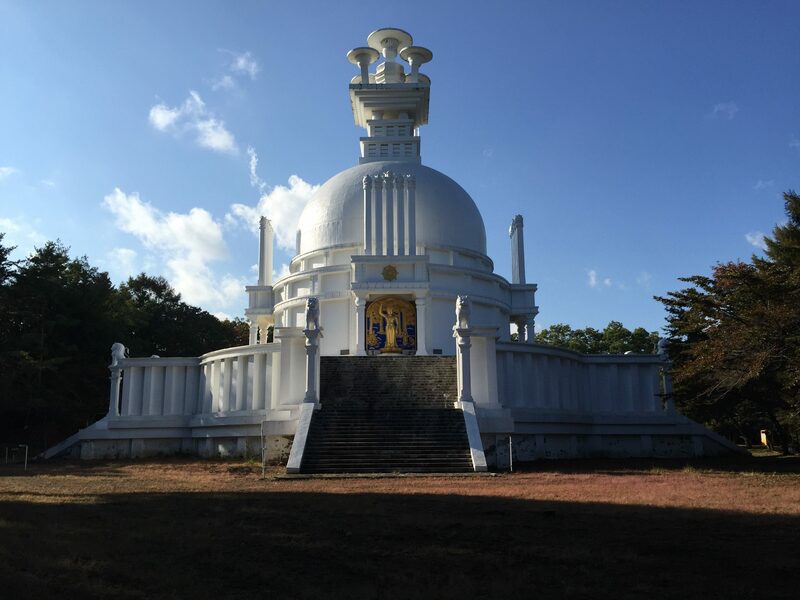 Centrally located near the village center, the trails are accessible from between Yagyu and Suwa shrines, the parking lot next to the preschool, and Hōshō Temple. 5-10 minutes. Short, but somewhat steep.